파리, 프랑스의 리버티 호텔 파리 | 호스텔월드에서 예약하세요. The Liberty Hotel 1* welcomes you to Paris. 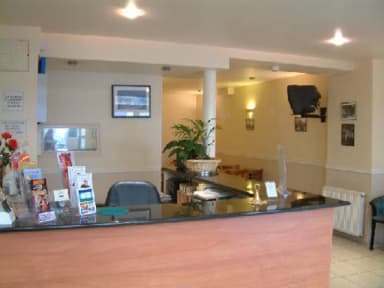 Located just a few steps from Gare de l'Est, Gare du Nord, and from the 'Grands Boulevards' this very comfortable hotel will give you easy access to all the tourist sites and business areas in Paris. Our team will welcome you in French as well as english. We also provide a cheap parisien breakfast (Baguette, croissant, butter, jam, honey, orange juice and hot drinks as coffee, milk, chocolate, the) at €5.50/pers/day, served from 7h30 to 10h30 that you will be able to book once you are at the hotel. You do not pay any booking fees. The number of your credit card is transmitted through a secure site and serves as a reservation guarantee. It will also be used for any cancellation fees. The name of the holder of the credit card must be the same as the name on the reservation. You do not pay when you book but on site during your stay at the hotel. Or, if you wish, you can pay in advance either by transfer to our bank account or in cash. The cancellation fees are equivalent to the price of the first night of the room reserved for any cancellation less than 48 hours of the theoretical time of check in (13:00 mn, Paris time) of the day of your arrival or no show case. For bookings of stays of more than 6 nights the Etablissement requires payment in advance and full non-refundable for the first three nights of stay. The cancellation of the entire planned stay is automatic in case of no show on the first day (no show) unless the customer warns no later than 72 hours before the date of the theoretical check-in. We assure you that we will do our best to make your stay in Paris be nice. 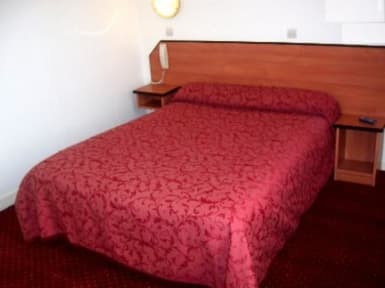 HOTEL LIBERTY is located just a few steps from Republique Square and we are walking distance from the center of Paris with the Seine River, Bastille,Louvre and Picasso Museum, Latin Quarter,Georges Pampidou center, Montmatre and Opera. Eiffel Tour and Champs Elysees are at 20mn by metro.